PufferPanel Community - Ports Required by the Control Panel? 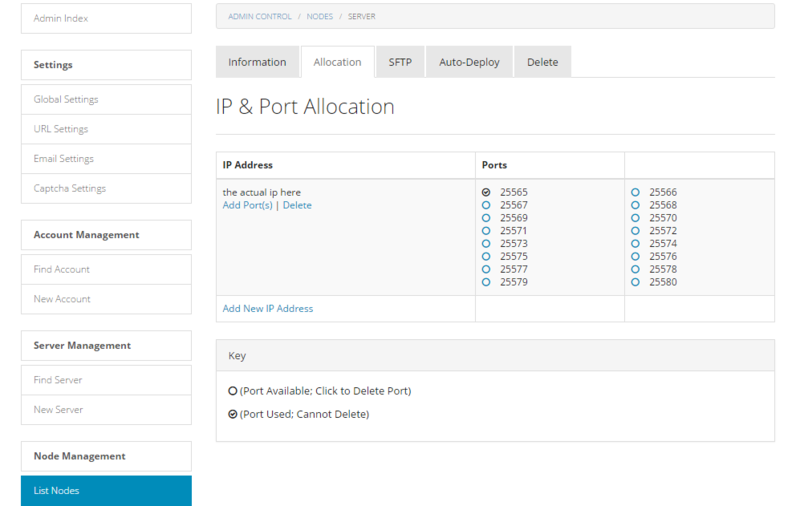 Ports Required by the Control Panel? I have a machine running the control panel, what ports need to be opened to allow a node to successfully connect back to the panel, i have a node setup through the script, and it shows offline, yet when i open all ports it shows online. The issue is the ip binding setting of your node. Head over to your pufferpanel with an administrator user. Go to List Nodes, Select the Node you want and go to Allocation. Add the external ip address of your server that you want to use and select the ports needed. Remember that you can't delete the old one there until the servers have changed the assigned ports to the new ip route.